A few helpful ideas for where, when, and what to experience during your next Rio vacation. These links have been suggested by other visitors who would like to share them with you. Experience the Rio outdoors. Water sports are not the only attraction in this beach town. Rio offers great public transit services. You can get anywhere by either taxi cab, public bus or city subway. 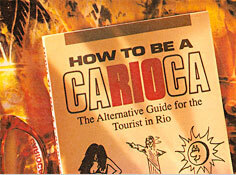 With so many sites about Rio, these are definitely worth checking out. In order to truly blend in with the locals, you need to learn the language.